Born in New York City, Ron Saporito started painting at an early age. Encouraged to pursue a career in art, Ron attended the New York Phoenix School of Design, Art Students League and completed his studies at the School of Visual Arts. Inspired by the beauty of New England and wanting to paint it’s seacoast, Ron accepted a position as an Illustrator at Electric Boat in Groton, Connecticut. After many years of exhibiting his work at local galleries and outdoor shows, Ron received numerous awards. One being an award of excellence at the Maritime Gallery at Mystic Seaport. 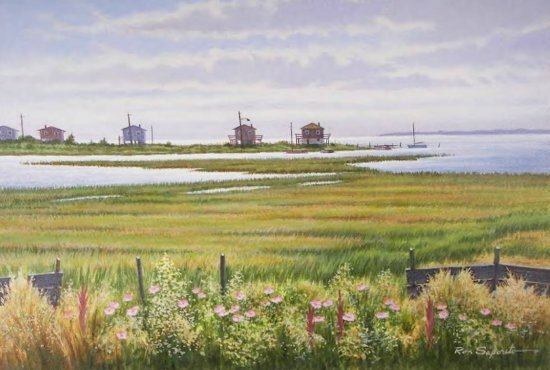 Ron is an artist member of the American Society of Marine Artists and the Lyme Art Association. He has been represented in national exhibitions at the Frye Museum in Seattle, Washington and the Cummer Museum in Jacksonville, Florida.